Simulation is a powerful tool to observe the performance of the manufacturing systems in variable demand and dynamic factory conditions in virtual environments. Recently, modeling and analysis of the factory objects in a 3-dimensional Simulation software emerged that is called a Virtual Factory (VF). The VF provides an integrated simulation model by representing all major aspects of a factory. It helps to consider the factory as a whole and provides decision support (Jain et al. in Winter simulation conference (WSC). IEEE, Piscataway, 2015). In other words, a VF Framework is a virtual advanced software environment that aims assisting the design and management of all physical factory entities during the all phases of the factory life-cycle (Azevedo et al. in Management and Control of Production and Logistics:320–325, 2010). 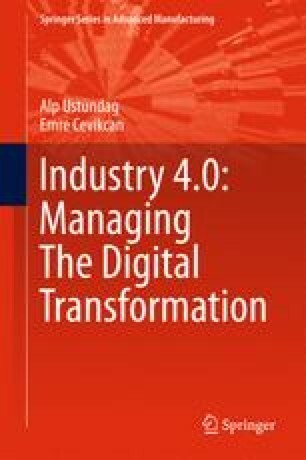 In this chapter, the research projects and academic papers that focus on the Virtual Factories are reviewed. Besides, the commercial VF software are investigated, their distinguishing aspects are assessed, and their limitations are discussed. Finally, future work suggestions are presented.